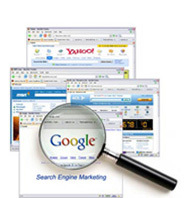 Birntec have many years experience with Search Engine Optimisation or also known as SEO. Over the past few years, we have been optimising a variety of websites for clients which presently occupy excellent ranking positions on all major Search Engines. Through our experience in the field of search engine optimisation, we are able to offer a variety of SEO services, which hold the secret to our success. Birntec are capable of taking on the SEO for companies with a limited budget through to major businesses with a large marketing campaign. As part of our service, we will always undertake an in-depth research based on our clients requirements. This approach allows us to recommend a tailor made campaign and therefore the best solution for the client. Our SEO expert team is always on the pulse of search engine technologies and trends which allows us to provide you with an outstanding service ensuring that your business is successfully marketed on the Internet.